Extras Jobs>TV Series Jobs>An Exciting Opportunity for be Part of the Audience on a Popular Quiz Show! 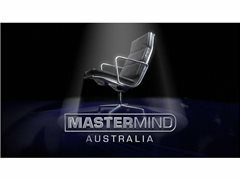 BBC, along with SBS, are bringing the iconic, long-running UK quiz show Mastermind back to Australia! Be part of the quintessential quiz show that kick-started an entire genre of television! Join us in making television history! Mastermind is filmed right here in Sydney, and YOU are welcome. If you have an interest in quiz shows and are keen to see how a TV show is filmed, come along, bring a friend and have a morning or afternoon with us! Be our guest, bring a friend, partner or family member and let us know which day(s) and times you would like to attend SBS studios.